The 23d annual Mad Hatter's Tea Party was held on April 21, 2011 at the Dallas Arboretum benefiting the Women’s Council of the Dallas Arboretum. 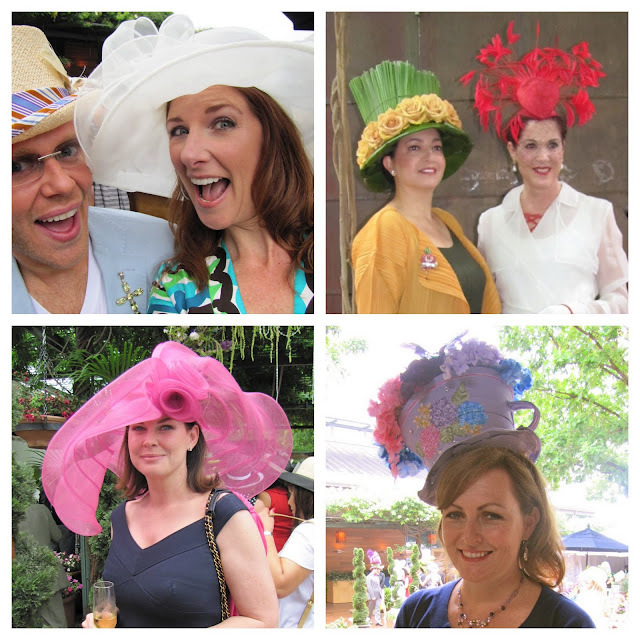 A drizzly day couldn't dampen the enthusiasm of the Southern Belles who turned out in full force wearing their finest chapeaus for a tumble down the rabbit hole. Marilyn Hailey's vintage hat collection and sketches were on display in the courtyard during the champagne reception, collected over the years with original hats and designs from Frank Olive, who designed hats for Neiman Marcus when she modeled for them. 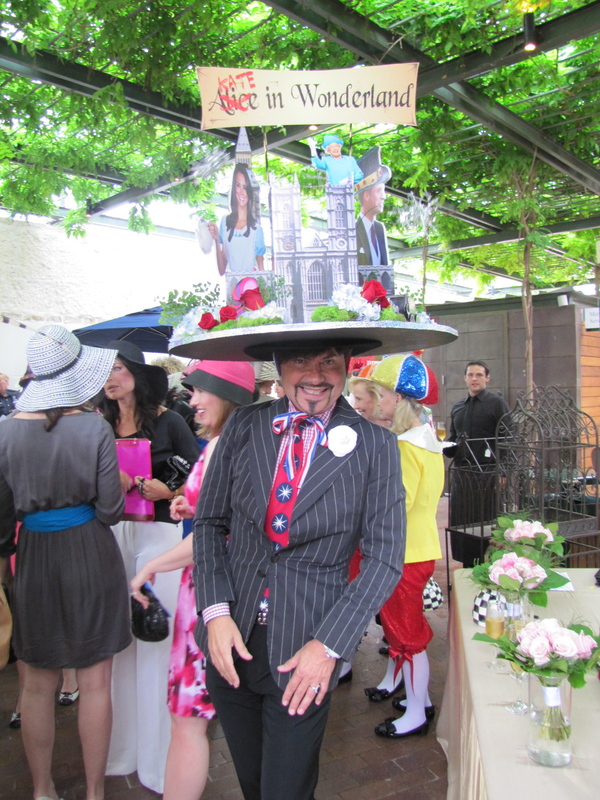 Wandering the crowd were celebrity judges Valerie Elizabeth, Lisa Garza, Daniel Winson Lewis, LeeAnne Locken and David Nelson Wren looking to dole out fabulous prizes to the best hats. Let me tell you, the competition was fierce! Click here to visit my photo gallery and see all the festive finery! After much oooh'ing and aah'ing over the wild array of millinery creations, guests enjoyed a fashion show produced by the imitable Jan Strimple featuring luscious fashions from Tory Burch, Karen Millen, Tootsie's, Betty Reiter and Anne Fontaine. Click here to see video snippets of all the winners! After the fashion show, we ladies tottered out to a beautiful tented pavilion where we enjoyed a seated luncheon. This was one of the most enjoyable events I have ever attended. 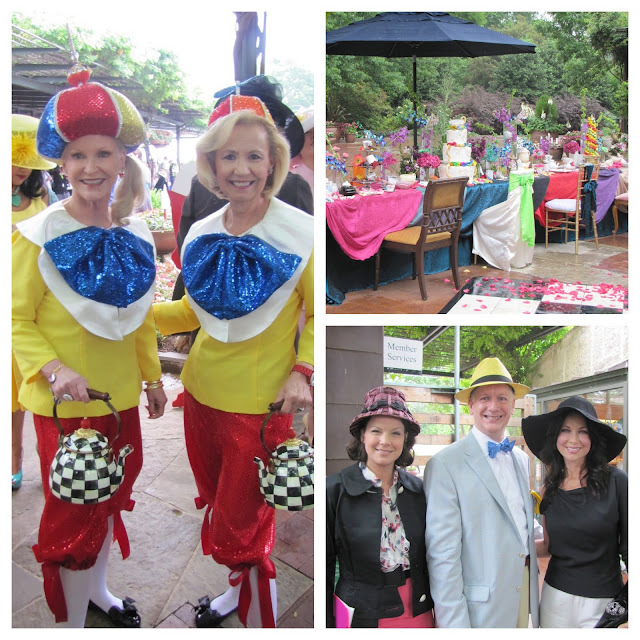 It was whimsical and fun, everyone was into the theme and the spirit of the event and the Arboretum did an amazing job providing a stunning backdrop for the fundraiser.